Lumunos Blog: Are You Willing? A willingness to risk failure. A willingness to look foolish. A willingness to speak a need to another, or to stand before a group and say “My name is ______, and my life is unmanageable right now. A willingness to invest in a relationship even though it may or may not work. These are examples of vulnerability, and according to Dr. Brene Brown it is what we need and what we avoid. Brown says that America today is the most addicted, most medicated, most obese, most in debt, and most stressed culture in the world. These addictions are numbing strategies to keep us from feeling difficult feelings. The problem (other than being addicted, in debt, over medicated and severely stressed) is that when we numb ourselves to pain, we also numb ourselves to joy, peace and God. After 10 years of painstaking research, Dr. Brown has reached this conclusion: Vulnerability is what we need. As opposed to Dr. Brown’s well-designed academic research, mine would fit the classic definition of anecdotal. But I’ve got a lot of it, especially stories which (according to Dr. Brown) are simply “data with a soul.” I think of the countless times I have been in groups where one person has been willing to go first, telling a story not of success, but of struggle. People not trying to one-up each other—simply saying what is real in their lives. Just one example from this past week. In spite of a full agenda, our committee meeting Tuesday night began with a simple question: What is going well, or where are you experiencing a challenge? One woman talked about what a struggle it is not to get angry with her kids. A guy talked about the cost of living at a distance from his extended family. I talked about a painful work experience. It took all of 15 minutes, but the result was the exact by product Dr. Brown names in her research: Greater connection. Her years of study have yielded a simple formula: vulnerability leads to connection, and connection is what gives life meaning and purpose. 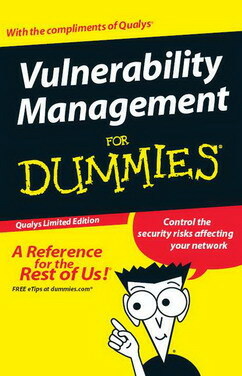 Who knew you could research vulnerability? How great that she is.